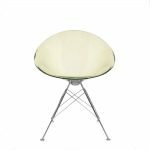 Its elegant lines, sober colours and practical usage make Maui an extremely versatile chair, capable of satisfying the widest demands of the business and residential market. Maui chairs form a family rich in chromatic and formal variations, able to meet specific needs in communal areas, such as offices, workshops, waiting rooms, bars and restaurants, lecture and meeting halls, or in home environments, such as the dining room, the children’ bedrooms and the study. The unitised polypropylene seat/back is attached to a chromed steel structure. 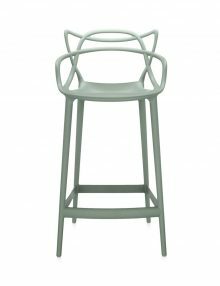 Thanks to its design, the Maui chair can be stacked up to seven or five high. 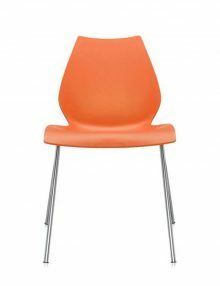 It can also be coupled with other chairs of the same type in endless rows by means of a simple rear hook. 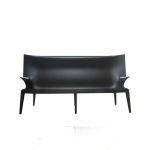 Available versions include: supplied with and without armrests in a matching colour with the seat and as a chair with folding tablet arm in black. The family of Maui chairs is complete with the addition of the self-extinguishing version. Frequently requested for businesses, this item is finally able to satisfy the highest demands of even the most specialized contract. Colours Available: Anthracite, Pale Sea Blue, Zinc White, Marine Blue, Scarlet, Mint Green, Pale Grey, Orange. 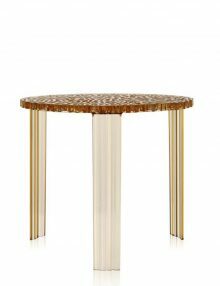 A range of stunning low tables with intricate cut out patterns on the table top. 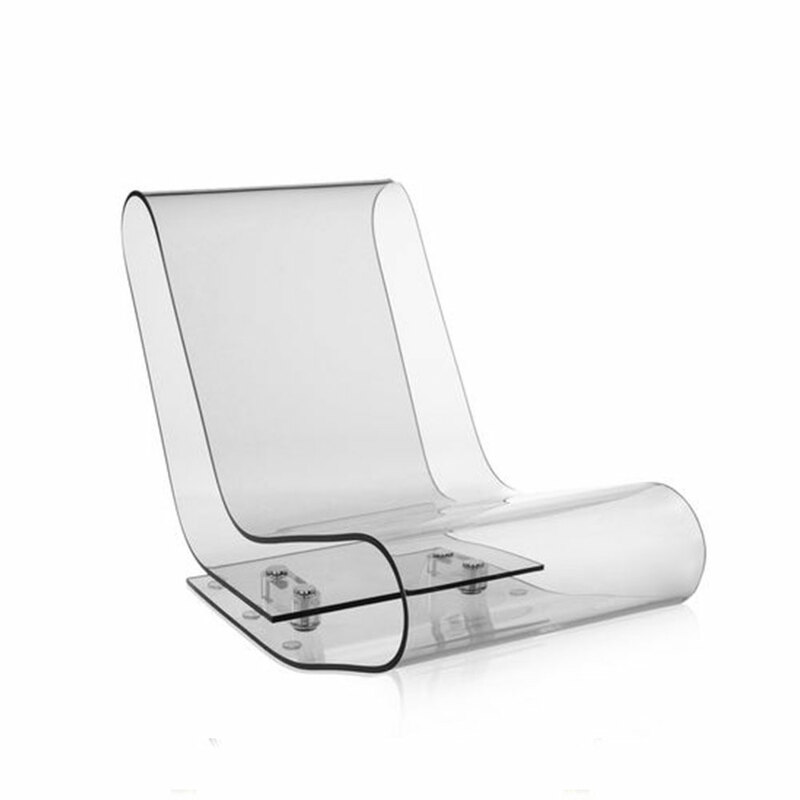 Uncle Jack, the revolutionary single mould transparent polycarbonate sofa signed by Philippe Starck. It comes in five different colours – crystal, orange, blue, smoke and green – and is 190 cm long in a single block weighing 30 kg. Uncle Jack is the most daring example in the world of injection moulding technology. 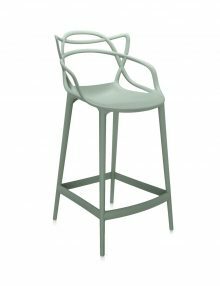 The Uncle collection designed by Philippe Starck adds the Uncle Jim armchair, which also comes in five different shades – crystal, blue, orange, green and smoke. 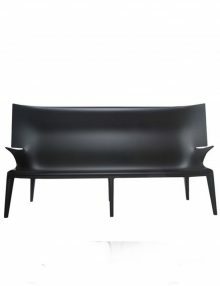 The armchair echoes the lines and sinuosity of Uncle Jack and lends itself to broad range of furnishing needs.